Captures up to 99.97% of airborne particles at 0.3 microns from any air passing through the filter. Package contains 3 filters that should be replaced 1x per year. Fits Honeywell Console Models: HPA090 series, HPA100 series, HPA200 series, HPA250 series, HPA300 series. The Honeywell HRF-R3 True HEPA Replacement Filter R is fully capable of capturing an astonishing 99.97% of airborne particles at 0.3 microns from any air passing through the filter. This package includes 3 HRF-R1 Filters and is compatible with the HPA090 series, HPA100 series, HPA200 series, HPA250 series and HPA300 series. It is highly recommended that you change your filter annually for optimal performance. Establish an unrivaled breathing experience for yourself and your loved ones with a Certified Honeywell Filter. Product Dimensions: 6.7 x 1.6 x 10.3 in. The Honeywell HRF-R3 True HEPA Replacement Filter can be used in a variety of Honeywell Air Purifiers. Please check the air purifier model range below to see if your air purifier is listed. These filters do help my allergy related congestion. We started with one purifier now we have one in each bedroom and our living space. I do not wake up congested anymore, and it is satisfying to see all the filth captured by the filters that could have otherwise ended up being inhaled. Thank you for the filters. They were back ordered and I thought they wouldn't arrive until the 28th, but I received them sooner on the 25th. My husband is suffering more than usual from his allergies this spring and they are greatly appreciated. Excellent HEPA filter. Great service and timely arrival. I foster kittens and have a slight allergy to kittens. These filters allow me to fully bond and care for the kittens. I suggest the filters to potential adopters with concerns about pet dander. I tried an inexpensive version, epic failure. I had been buying these individually at a retail hardware store, and was so happy to find this 3 pack! Money savings all around on something that I require to control my allergies. Easy to order, quick delivery, and a good product. Order came quickly and was in good condition. This is the first time I bought for my 300 model. Very easy to find online, Great service and easy to install. Exactly as ordered and arrived in the time promised. Glad I ordered from Honeywell a lot cheaper than in the stores. I use these filters in my home and they are the best, been using them for two years now!!!! Best place to buy REAL filters! These filters are wonderful and have caused a significant change in the air quality in my home. I am glad to buy these directly from Honeywell as Amazon and eBay are full of knockoffs with horrible quality. Buy here, get the real deal at a fair price. Paid up for original product with hope that it will outlast less expensive replacement product. 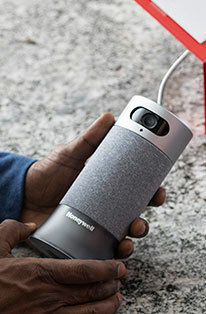 Official Honeywell filters at good price. Previously bought a cheaper replacement brand that developed an odor. These filters catch a ton of stuff. I run my air filter 24/7. It seems that they are not completely air tight as I have some dust build up where the air leaves the unit. Overall these get the job done. I have gone through many air filters looking for one that 1 cleans the air thoroughly so my asthma doesn't flare up and 2 has quality air filters that last for a respectable amount of time.These HEPA filters are my answer. I have run them with the pre-filter, without the pre-filter, vacuumed the dog hair from the outer surface and ran them again. I have basically done everything I can think of to get them to fail. No luck. They outperform anything else on the market. Product received as advertised, in good condition and reasonably priced. Exactly as described. Fit my air filter perfectly. Easy exchange. Up and running in minutes. Great value, I'm glad you can get a 3 pack as opposed to buying separately. I have two air purifiers. The 3-pack worked perfectly, one unit took one and the other unit took the remaining two. Quality was great. Shipping speed from the company was also really good. Love these filters. Reasonably priced on this site versus whats elsewhere right now. Took a week to arrive. I have been very happy with my Honeywell air filters!!! This product has helped my allergies. I do like the reminder that I get also. Sturdy, high quality filters work very well filtering out dirt and contaminants in the air. The ideal original replacement filters for my HPA300. Could not be more pleased with the quality, price and speed of delivery. I've been using this HEPA Air Filter for almost 2 years. I've gone from being a mouth-breather miserable person to NOT being one. I change the filters every 3 mos ONLY because it's just my thing. You can actually FEEL the air being cleaner and what use to go in my nose/lungs are now trapped by the filters. Highly recommend! I have a really bad mold allergy. I first bought this system really pricey, even from Walmart but it works. I replace the filters every year. In a contract I was on in Oregon, where everything was moldy, I went from bad allergies to nothing in a really moldy hotel. At home in Florida, it takes care of food smells very quickly, and a lot of dust. Make sure to get the charcoal filters to take the burden of large particles away from this filter. Honeywell online was very easy to use. The product is very good for the air purifier. Couldn't go without it. I have been using my Honeywell air purifier and am amazed at what the filter is picking up from the air in my apartment. I am so very happy that I have these filters. My breathing is so much better now. These filters are the best! They really trap the dust and odors. Even when I cook broccoli, you'd never know it! Its a filter. What is there to say? I've been using this Honeywell product lately for my allergies and it has helped significantly. Not sure what I'd do without my Honeywell Purifier. We have 4 of them. I'm glad the filters come in bulk packs now. Sturdy, long-lasting & gets the job done! I love my Honeywell Air Purifiers and I only use Honeywell filters. They are sturdy and fit easily into Air Purifier. I never have to worry about them coming apart as I'm installing them. They also take an amazing amount of dust out of the air. Excellent product. Easy to change filters! Excellent service. I have a HPA300 unit and it works great. 5 years old and going strong plus economical to use. I replace the filters once a year. The price for the Honeywell HRF filters on the Honeywell store site was less than I found on other sites and I was confident the quality would be better than after market replacements. The order shipped in 2 days and I received it in 3 days. My wife has allergies and asthma, and the Honeywell HEPA filters provide a much healthier environment in our home. Prompt service from this company. The only place I can find the filters packaged in the correct amount that it takes for my machine. In store packages contain only 2 filters which do not make sense since the unit takes 3. Before finding this company I had to purchase two packages to have enough filters to replace. Stick with OEM filters. These filters are the best way to go. Tried other less expensive ones that did not work well. Get what you pay for. These are a perfect fit for my machine and the tabs make them easy to remove. Quick change and obviously do their job! You can buy replacement filters at different places. But you get what you pay for. Honeywell filters have the quality to do the job they were intended to do. The cheap imports are so poorly manufactured you can see through them. If you have a HEPA Console Purifier then buy the Honeywell filters. You won't regret it. And always use a pre-filter as well. Thanks Honeywell! Wouldn't order anywhere else. Quick and efficient! I moved to DC a few years ago and have had sinus infections twice a year ever since. I started doing allergy shots and using these filters and have not had a single one since I started. My allergist recommended these! Same filter that comes w unit, actual lifetime for me was 8 months and not a year. I like that they are sold in a 3 pack. Very good quality. Our large Honeywell HEPA air filter requires 3 filters, so this three pack is very handy. The pricing was better than at our local big box retail. I have allergies, cats and a spouse that loves animals. My sleep has improved immensely after getting a few air filter products from Honeywell. The unit runs more quietly since installing these filters. My Honeywell filter has reduced our sneezing from allergies and have reduced the duration or our colds. I was amazed when I took the old filters out how black they became from the stuff in our bedroom air. Thank you, Honeywell ! We have been using this product for over 5 years and are very happy with it. The Honeywell air filters are by far the best. Filters work great. Ordering through Honeywell for 3 years. Use 3 filters per/purifier. Filters last over 3 months, use our purifier daily. I am very happy to find this 3 pack of filters for my air purifier! I had been buying them in a home improvement store at $30 each filter! Thank you Honeywell for providing a way to save money on your products! Item arrived on time as promised. New filters fit snugly into my air purifier - exactly what you want if you're using HEPA quality filters. I have two Siberian cats with lots of hair. We have two air purifiers in our bedroom and I sleep so well. These filters clear the air! These filters seem to do the trick! Glad I found and purchased them thru this site. Awesome! Only ones I buy! As I said before this is exactly what I needed and the shipping was fast. See the review above in regard to complaint. Awesome, for the price and it was easy to install. Great product - lasts a long time. The filters came quickly. Perfect replacement. Good Instructions for installing Which means a lot!! First time replacing R filter. They fit perfect!. They are the excellent quality product I would expect from a trustworthy company like Honeywell. I've ordered the same items from you before and was satisfied. That's why I ordered from you again. Reviewed: 08/01/2018 by Vanessa D.
Fits perfect. We are surprised how much of a difference the air purifier makes in the quality of the air in our house. No more stuffy noses. HEPA filters worked so well! We were doing renovations at our new house and dust was everywhere. We bought these replacement filters because the air filters filled with dust quickly! These filters worked really well and really reduced the amount of coughing and sneezing from our whole family during construction. All are happy in this household with your HP Air Purifier Unit. Was slower than I expected but that's not that big of deal. I wish these were just a Little cheaper. Also mine takes two so not sure why sold In 3'. Hello, Ronnie. We're sorry to hear there was an issue with shipping. I will speak to the shipping dpt. and have the issue resolved ASAP so that it will not happen again. As for your selection of the HRF-R3, certain models use three R filters. I think you'd be much happier with the HRF-R2 selection. Great product, great service, easy to use website. Arrived on time and in good shape. I love my Honeywell air purifier and the filters that work them. Great Product and Great Service...as always ! Honeywell makes the best air filters available and at a terrific price. We use the unit in our bedroom and the air is clean and odor free. Thank you. I have 2 dogs and this filter helps to keep my allergies at bay. Bought these filters and after installing them turned on air purifier and it had a funny odor which went away in a few hrs. nothing to worry about if you get these. Service was very fast even on reg. delivery. I was very happy with my service on receiving my filters. Exactly what I wanted. Works great. No issues. Will buy again. Perfect fit and loved the package of 3 as my machine requires 3. If you have any relatives who live out west and have to endure weeks of intensely smoky conditions every summer and fall, send them a couple of HPA-300 units which use these filters. It's the only way they'll be able to sleep at night. Paid more through HD store, then found these three, so put one in since machine takes 2. still have 2 for later in the year. best price and free shipping! Great filters and price is good. Also love my Honeywell 300 series air purifier. This order was for two sets of OEM room purifier filter sets. The price from the manufacturer was cheaper than any other source I could identify. The likelihood of good quality was higher than from any other source. Delivery time and packaging was as promised. The Honeywell Store website was easy to use. I quickly found the product that I needed, placed my order and waited for the delivery of new filter replacements! Easy Peasy!! Filters appear to be working perfectly drawing out dust and particulate items like smoke, etc. No problems. Excellent filters, easily installed in purifier and work great. Easy ordering process,product arrived quickly and was well packaged to prevent damage. Pricing is quite reasonable too! The filter replacements and filters themselves have been reliable and effective. Merchandise arrived on a timely manner. I would definitely order this item again. Exactly what I ordered, received in a timely manner. I got what I needed and it's working. These filters were the exact replacement. Prompt service, well packed, best price. We purchased a Honeywell Air Purifier almost a year ago, and wanted to have the HEPA filters on hand when they need replacing. Order was received quickly and in perfect condition. Thank you! Exactly what I was looking for, local department store doesn't carry replacement filters. I appreciate that the hepa filters are sold on a three pack so I get the correct filter and number that I need. Appears to work as intended. Reviewed: 12/25/2017 by T. C.
Great Product. It filtered out all the smoke particles inside my house from the recent Southern California fires. These HEPA filters are the best at removing contaminants from indoor air. Excellent! They work as advertised, they went 7 to 8 months before needing changing. Excellent excellent exceptional. Very good product. I noticed the fresh smell as soon as i installed the new filters. Wouldn't hesitate to purchase again. Would recommend. Thank you Honeywell for a very good product. This is my second order from the Honeywell.com store of filters for my air purifiers. Great products and the online experience is smooth and easy. Appreciate getting top of the line actual Honeywell products rather than OEM knock-offs. These were super easy to replace and do a great job of filtering out pet dander that has been a big allergy factor. Again, when choosing an air filter system for my bedroom, I chose an old, reliable standard from American varieties. It is the best and most convenient, nice looking product, and delivers wonderful fresh cleaned air for my nighttime rest. A superior product A+++. David L.
My order arrived promptly, was well packaged and exactly as described. 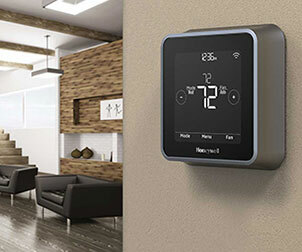 I was very happy that it was a Honeywell product which stands for quality and excellence. Because I have pet birds in my home and am allergic to their dander, these HEPA air filters clean the air very well and help both me and my birds breathe easier.I am pleased with the product and its price. The amount of dust and debris is greatly cut down. Ah, my air is nice and fresh again. I will purchase again. I ordered Hepa Replacement Filters and got my order very quickly. My receipt and confirmation was sent to me immediately after purchasing online. Ordering is quick and easy. I can buy from a local chain store at home but I prefer from Honeywell because I get the correct products and amazing costs and delivered to my door. I have ordered many times and will continue because of the ease and cost effectiveness. Thank you! timely delivery after nasal surgery three years ago, my air purifier is a godsend. I live in a historic building and it has smelled old since day 1. I bought the HPA 300 with these filters and it has made a HUGE difference. I think it was able to filter out a lot of the dust, pollen, allergens, etc. that have accumulated over many years. They are genuine and work as expected. The HEPA filters fit perfectly. Consistent and reliable service and products. Order both HEPA and charcoal prefilter, work perfectly. No complaints. Love the reorder reminder. The filters look great, fit fine. I'm just not happy that it is so expensive every time they must be replaced. ...for the Honeywell air purifier. It is nice to order these online since our local store is usually out of them. The air purifiers service may be enhanced by keeping the old filters replaced regularly. The old ones are very dirty when replaced. love these air filters. They are easy to replace and work very well. I've had a Honeywell air purifier for many years now and these filters make the air so clean! I was very happy with the filters that were ordered. I will be sure to order them from this site again. No problems. Fits well and works well. A product I can count on. Good package for the 300 series, will last 1 year! Perfect Filter for my Honeywell Air Purifier. Fast shipping! Appears to be what we ordered on a timely basis. Easy ordering process and delivery. The first set lasted 10 months. The ulta-fine HEPA mesh catches everything, Sleep like a baby with almost zero seasonal allergy symptoms. Run the purifier in our bedroom 24/7. Fantastic product! Love the HPA 300 and these filters are great! I need these because of my allergies and tried to get a bargain a couple of times and got burned. From now on I order from Honeywell! I am not going to buy bad products from third market places anymore to save money. Great price and good quality.. Product arrived in excellent condition. I had to wait a couple of weeks for back orders. The product was what I ordered and fit perfectly into my unit. The filter match the original as far as I can see. Have not used them yet. Had to wait for order as they were backordered. Very confident in Honeywell products. I have used them for many years for my allergies and enjoy the hepa filter. Since buying my Honeywell HEPA air machine, my allergies are significantly less irritating. Filter system does a thorough job. Thanks! These new filters were very easy to install. They even had arrows on them to show which direction they should go. Pellet stove installed 2 years ago. Entire inside of house coated with ash/dust by end of season. Purchased several Honeywell air purifiers, some with 3 HEPA filters main floor, some with one filter 4 bedrooms. End of this pellet stove season, very little dust anywhere. They do the job well, but wish there were cheaper ways to purchase quantities. Order for filters arrived in good condition. No damaged materials. Happy Customer. Will continue to purchase goods from you in the future. 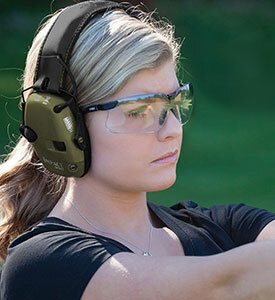 Really like the Honeywell website. I quickly found what I needed. Also, there was a savings on buying the two pack which I didn't know. Easy check out. I will be ordering again from Honeywell. Great price and fast shipping. Exactly what we needed for our air purifier. Will shop here again. The filters are great, but they are about 1/16th inch too small. I remedy that with strips of extra charcoal filter medium, packed along one side and the top of the filter, sliding them in all together in each of the 3 slots. That really shouldn't be necessary. Thanks for the great filters and the triple filter offer! These filters work very well. It's amazing how much particulate they remove from the air. We received our combination filter pack sooner than I expected, and I was thinking This will take time and aggravation. I was so wrong! It was easy and fast to cut out the prefilter and replace it & the three filters. What a great feeling to breathe clean air again! The directions with the pack even told how to get the check prefilter light to go out, which we had not figured out on our own. Best air filters and air filtration products for our family. Instead of taking the risk of buying a cheaply made off-brand replacement filter I bought these instead. To my surprise, with the sale my cost turned out to be less than the off-brand price. Quick delivery and the filters work fine. Air seems better with having replaced both Filter A and Filter R.
I check prices several places and believe it or not, it was cheaper to order directly from Honeywell. And also, I was sure they were good quality replacement filters. They are very easy to install. We are 100% satisfied! Received product when promised. Filters were the correct part and installation was uneventful. These filters last for one year and capture a lot of impurities in our home. I highly recommend. Put off getting a new filter due to the expense...worth every penny! It was my second order and I am very satisfied with the website the product and the service. I will definitely use this service again. Items just what I needed, Easy to replace. The filters for our Honeywell Allergy do such a good job that my grandson can sleep without coughing and doesn't need asthma medicine. They arrived quickly and are easy to install. Best price I could find. Low priced delivery too. Filters received in good order and fit perfectly. Very pleased with purchase. 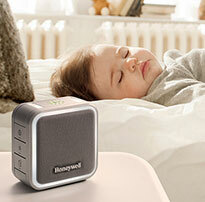 We use the Honeywell air purifier in our bedroom to help with allergies. The filters in a package of 3 are difficult to find locally and the price online is much better. They are not inexpensive, but this is the way to go. I changed the filters the very day I received the new ones. Wow! I didn't realize how dirty the old ones really were until I compared side-to-side! The newbies were the exact quality filters that came as the originals!! Awesome! This product I have been using for awhile and cant always find it in the stores. does a great job in cleaning air - my wife has dust sensitivities..
Honeywell filters trap a lot of dust while remodeling a bathroom. They are also great where the dog sleeps. It is the only way I can breathe. Just replaced with the newly shipped ones and the air is much better in this office. Shipment only took a week to get here which was very nice. Easy to install and gets the job done. Item needed for air cleaner. Simple installation in minutes. Seems of good quality. No problems with cutting to size, because no need to with these. Website was easy to navigate. Filter was easy to order. Received it in the time indicated. Was the correct product. Very happy with purchase. Great service. Received my filters in less than a week. Will order again when needed. The filter 3 pack from the Honeywell Store is the best deal I could find including on Amazon. Delivered promptly. Smells good. Captures a lot of dust. The old one was full of dust. I love how this comes in a 3 pack! This product works awesome and the price is even better. These filters do an excellent job of removing particulate from our house. Repeat purchase of this item. Speedy delivery and comparable pricing. Will order again. Well packaged and shipped/arrived on time/would purchase again. This filter along with the Honeywell air purifier continues to work like a charm. This is by far the best air purifier on the market! My first time purchasing a product directly from Honeywell. Website easy to navigate through. My question was answered the same day. Price less expensive than Amazon. Filters are of the same quality as the original filters that came with the purifier. I'm happy! Ordered replacement filters, they shipped them right out. I purchased the Honeywell air filter that has 3 HEPA filters in it. The large space I wanted it to handle includes an open living room, dining room, kitchen, hallway, and stairwell. It clears all of that air of perfumes, cat dander, and other odors and allergens in a matter of just a few minutes, maybe 3 - 5 minutes. And that is on the low fan speed. On low speed, the fan makes virtually no noise. I don't know what feats it can accomplish at medium or high speed as clearing allergens and toxins etc. in a couple of minutes has worked well for me. I've had Honeywell in the past and came back several years later when I needed another air filter. It is still a very high quality product. The Honeywell HPA300A air purifier with these three filters does a very good job cleaning the air. These filters have a deep accordion-like structure. Consequently, the surface area available to capture fine particulates is greatly enhanced. I also notice I haven't had to dust as often since having the air purifier. I use the filter regularly in a small ~800 sq foot apartment near a freeway where relatively high amounts of particulate pollution has been documented. Despite this, the 3-filter system has lasted nearly a year for me before it being necessary to replace. These filters were to replace old original filters that had done their job and were dirty and ready for replacement. This is a really great value for purchasing replacement filters for air cleaning units. The 3 pack of filters is a great value for replacement filters for the air purifying units. I get these every year. As always, arrived fine, very well packaged and are perfect. I love the air purifier they go in and so easy to replace. It was a pleasure dealing with this company. I will continue to buy my filters here. We are very impressed with this filter and complete system. We would and have recommended this system to friends. It keeps the tiny air particles out of the air. This is quite visible in the sunlight. Great for our allergies. The best place to buy the filters is here. Best price for genuine product.I will only buy them here and am spreading the word to all of my friends and family. Changed filters to continue to keep the air in my space clean and fresh...getting a jump on Spring cleaning. I like the convenience of being able to buy three filters at once. I could only buy two filters and a prefilter at my local store. My order shipped very quickly as well.